This Danny Recommends gets chalked up as a purely personal tip from Uncle Danny. There are a couple of things I love: books and Christmas (I love a lot more than that – I see you, Breyers Chocolate Chip ice cream! – but for now let’s just focus on those two). If you happen to love those same two things, and you happen to be the parent of younger kids, this post is for you. Since our daughter’s first Christmas with us, she and I have had an annual tradition of a special Christmas book. (She didn’t know it was a tradition at first. She was a fairly bright one year old, but she wasn’t that bright.) The new book makes its debut the week after Thanksgiving, and then we rotate through the old books as we move through the Christmas season. It’s something we both look forward to at December bedtimes each year, and if you have kids or grandkids, this is something you ought to consider. It has to be aesthetically appealing: this is not the time for a few pencil drawings and comic sans font. Books have to be illustrated, and they have to be illustrated beautifully. It has to be a hardcover. I fully intend for these to be books that Haven will read to her kids one day, so they have to last. It has to be a one-night read. This is not the time for Dickens’ A Christmas Carol. 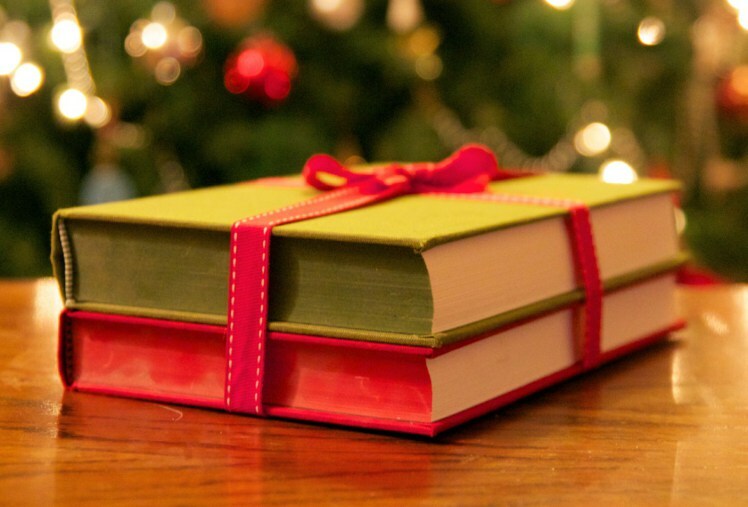 I have no problem with longer books – and we will often read a few pages of one every few nights to supplement the season – but the special Christmas book has to be relatively brief. It doesn’t necessarily have to be Bethlehem-centric. While most of our books so far have centered around the proverbial reason for the season, I’ve mixed a couple of secular books in along the way. Because again…we’re rotating through the entire pile all through December. Finding books that match these qualifiers is becoming more challenging. We’re hitting our seventh Christmas together, and each year the trips to Barnes and Noble or the surf times on Amazon get a little longer. Full disclosure: this one hasn’t arrived from Amazon yet. It hasn’t fully passed all of the tests above, except the hardcover rule. The jury is still out on this one; I’ll let you know if it goes in the book burning pile. This one made the cut because it met my rules, plus 2016 was the year that Haven had her first Christmas play. So the theme just worked, y’know? A very typical poetic retelling of Jesus’ birth, but the illustrations, y’all. Stunning. When R.C. Sproul writes a children’s book…nay, when R.C. Sproul writes a Christmas children’s book…you buy it. There’s a little bit of “story within a story within a story” business that drives me a little bit nuts, but still. Again, theming was big this particular year. 2012 was the year Haven was into all things ballet, and she was especially into all things Angelina Ballerina. This was a no-brainer. Let’s face it: if Sally Lloyd-Jones published her grocery list, we’d all buy it. She’s the one who brought us The Jesus Storybook Bible, and this particular Christmas book may be my favorite she’s ever written (yes…I just put it above JSB. Whoa.) It’s hard for me to read this one to Haven without getting choked up. “Heaven’s Son / sleeping under the stars / that he made.” That’ll preach. The first Christmas book is still our favorite. I’ve likely read this book hundreds of times to Haven. The illustrations are gorgeous, the story is sweet, and if you’re an adoptive parent trying to read this particular book to your child while navigating your first year, I dare you to read it without your heart exploding. If you’re a child of the 70’s / 80’s and this wasn’t your favorite Christmas special growing up, I’m not sure I can respect you as a human. So when I saw that there’s now a book version on Amazon (based on the movie, which was – and I just found this out – based on a book), I gave ’em all my money. It’s not a one-night read, but it’s still going in this year’s rotation.